During the Cold War most Americans viewed the U.S.S.R. and China in a similar vein. There were memes such as ‘Better Dead than Red’ depicting the ideologies of Socialism and Capitalism as being juxtaposed. When the Soviet Union dissolved in 1989-90, China was already on the road set by Deng Xiaoping transforming a nation of farmers and peasants to becoming (today) the second largest economy in the world. Russia’s recent actions resulting in the annexing of Crimea squarely positions Russia and the U.S in a retro-Cold War like environment. While The U.S. – Russia standoff (if that even is the right term) is not a ‘war’ of ideologies as was the case in the 1950’s-70’s, it is an effort to achieve regional hegemony. China is interested in its own version of regional hegemony. With the U.S-Russian relationship headed to the penalty box, China is presented with a real opportunity to raise its status with the world community by standing with the world and not sitting the entire situation out as it usually does. U.S. First Lady Michelle Obama is currently in China to kick off a weeklong, three-city tour of China that analysts said will further advance relations between Beijing and Washington. Chinese first lady Peng Liyuan will join Obama on a visit to the Forbidden City on Friday and welcome Obama, her daughters Malia and Sasha, as well as her mother Marian Robinson, for a private dinner event, according to the White House. This will be the first visit to China by a US First Lady without the accompaniment of the US President. The Obamas will also tour the Great Wall; see the Terracotta Warriors of Xi’an, capital of Shaanxi province; and visit a panda reserve in Chengdu, Sichuan province. Michelle Obama will also deliver speeches on bilateral cooperation in education during the tour. The timing of the trip is coincidental but not without significance. 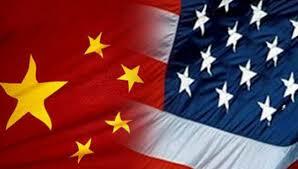 The U.S. and China have sparred over spying, human rights, and the floating of the Chinese Yuan. That sparring will continue for the foreseeable future but should not deter the two superpowers from taking the opportunity to collaborate even more closely on economic and environmental issues. China is no happier than the U.S with Mr. Putin’s land grab in Crimea. Of course just because it might make sense hardly means greater collaboration between the U.S. and China will follow. Both countries are interested in their own agendas more than they are in collaborating. But if they did would it be a good idea? This entry was posted in China, Leadership, World Poltics and tagged China and U.S. relationship, China working with U.S., Chinese business, Russia China relationship. Bookmark the permalink.